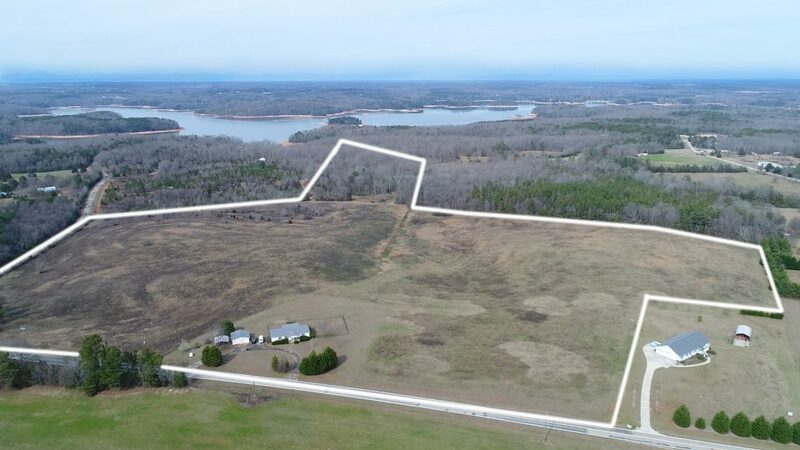 Check out this great property we just listed in Hartwell, Georgia located at 1876 Boleman Hill Road. It’s a unique parcel with unsurpassed north Georgia mountain views on clear days. It also sits only seconds away from a wonderful boat launch. It has over 2,000 feet of double road frontage, a drilled well rated at 175 gallons per minute that could service a subdivision or irrigation for a vineyard, orchard, or pecan farm. Pear, muscadines, pecan trees are on the premises. No chemicals have ever been applied. There are roughly 42 acres of pasture with wildlife areas that attract rabbits, birds and deer. There’s a small stream on the back of the property and large trees abound. Additionally, the purchase comes with a great 3 bedroom 2 bath double wide with a screened porch, fenced yard, 2 car garage and carport. An older shack on the corner of the property has potential to be redeveloped into a feed store. Don’t miss this great opportunity!